Manowar can trust no one, especially those he holds dearest. But will the hero of earth rise and become the hero of his adopted planet...or will his endless supply of enemies crush him first? 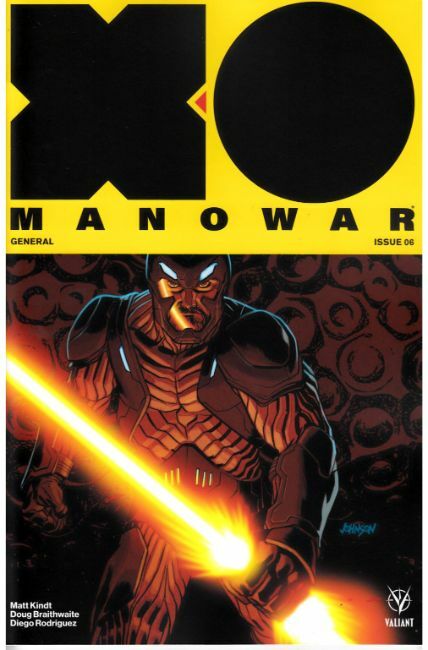 "GENERAL" comes to its unbelievable finale here as New York Times best-selling writer Matt Kindt (X-O Manowar) and superstar artist Doug Braithwaite (Bloodshot U.S.A. prepare Valiant's unstoppable hero for his biggest rise in power yet...and push him past the point of no return!